The first time the Brewers held a Turn Back the Clock event honoring the Brews was July 6, 1993, when they wore uniforms more "inspired by" than actually commemorating the erstwhile club. The second time, just over three years later, would be better. On July 31, 1996, 30,772 fans filed into Milwaukee County Stadium to watch the Brewers (then of the American League) pay tribute to their forefathers as they took on the visiting Seattle Mariners. The clock was turned back to 1946. Hot dogs, popcorn, sodas and peanuts were sold for $1. 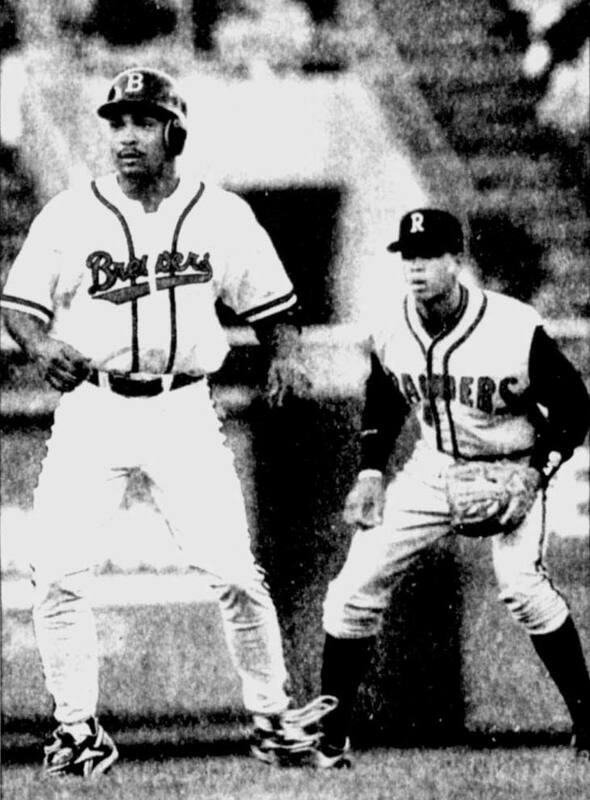 And the teams wore throwback uniforms, with the Mariners donning the garb of the Pacific Coast League's Rainiers. This still from the Mariners' 1996 season highlight video (courtesy of the Seattle Mariners Uniform History) shows the two teams in color. Contemporaneous newspaper coverage gives us a better look at what the players wore. The uniforms were manufactured by Philadelphia's Mitchell & Ness, with an assist on the felt wordmarks from Ebbets Field Flannels in Seattle. The Brewers' Pat Listach and Seattle's Alex Rodriguez sport vintage uniforms at Turn Back the Clock Night at County Stadium Wednesday. Ah, there's a trip down memory lane: Pat Listach as a Brewer and A-Rod in Seattle. 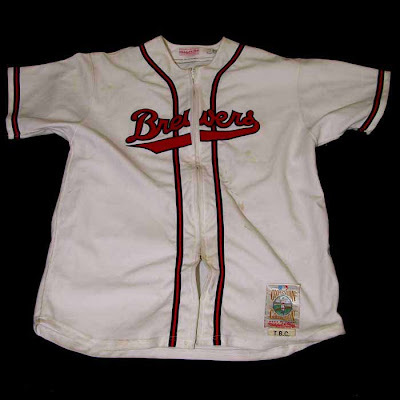 The original 1946 uniforms were very heavily influenced by the Boston Braves, who bought the Brewers at the end of the 1946 season. 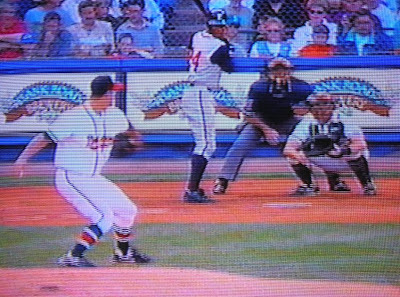 It was part of a slow evolution that eventually outfitted the Brewers in virtual copies of the Braves' uniforms. 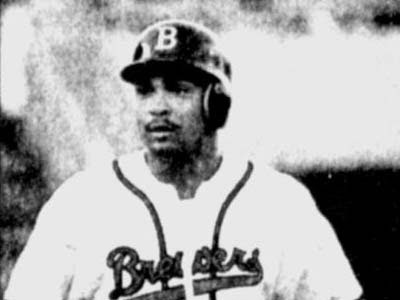 At this point, the Brews were still using the distinctive script adopted by the club in 1942, but in Braves colors and with the Braves' distinctive navy/red/navy piping. In fifty-one seasons, the Brewers never wore a cap with a "B" monogram. 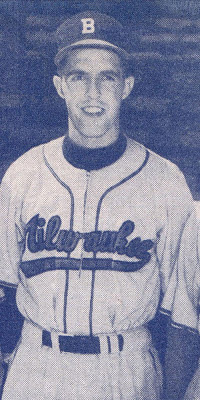 There were times when they wore a cap without any logo at all, but when they did it was always a Milwaukee "M". I think I might know where this particular anachronism comes from. In my research, I have often seen photos from the late 1940s and early 1950s featuring Brewer players wearing "B" caps. One such photo is at right, scanned from a 1951 score card. That's Brewer infielder Jack Weisenburger in his road grays. Weisenburger was coming off a monster season in 1950, good enough to earn him a tryout with the big club in Boston before being shipped back to Milwaukee. Anyone seeing this picture in isolation might be forgiven in thinking that his "B" cap stood for "Brewers". Actually, it was for "Boston", the proud cap of the parent Boston Braves. It appears to have been common for players to wear it in Spring Training, when many of the photographs were taken, especially those who had played for the big-league club or received a Spring Training invitation, as Weisenburger had. 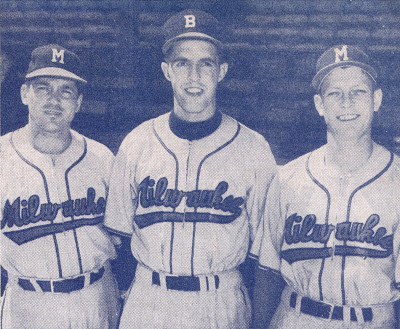 If you look at the photo in its full context, however, with Weisenburger standing between pitcher Bert Thiel on the left and infielder Billy Klaus on the right, you can see that the "B" cap wasn't standard for Brewer players. The other two men are wearing proper Brewer caps, with the proud Milwaukee "M". Looking solely at Weisenburger, it's not hard to believe that somebody might have been confused. 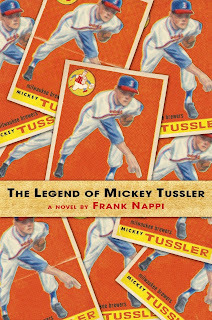 Interestingly, the same uniform, complete with incorrect "B" cap, is featured on the cover of Frank Nappi's coming-of-age story The Legend of Mickey Tussler, published by St. Martin's Press in 2008. 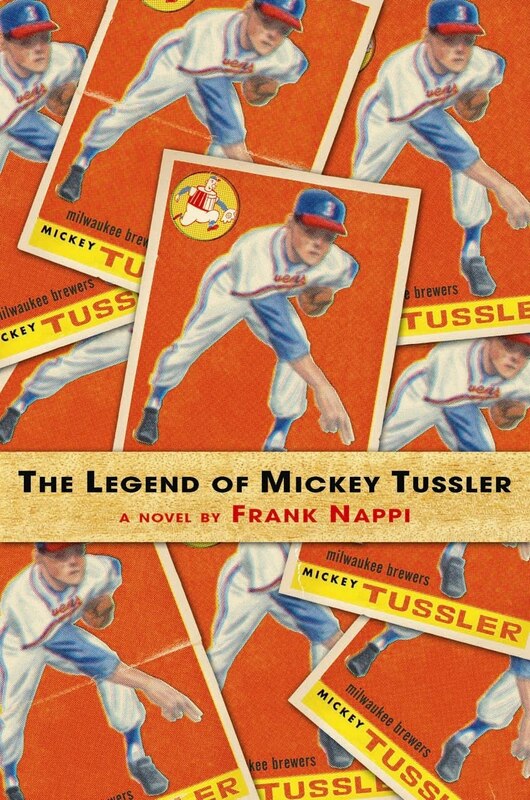 I don't know what reference cover artist Erik T. Johnson used, but perhaps he was looking at the same photos the Brewers saw when preparing for their 1996 throwbacks, or even photographs of the throwbacks themselves. 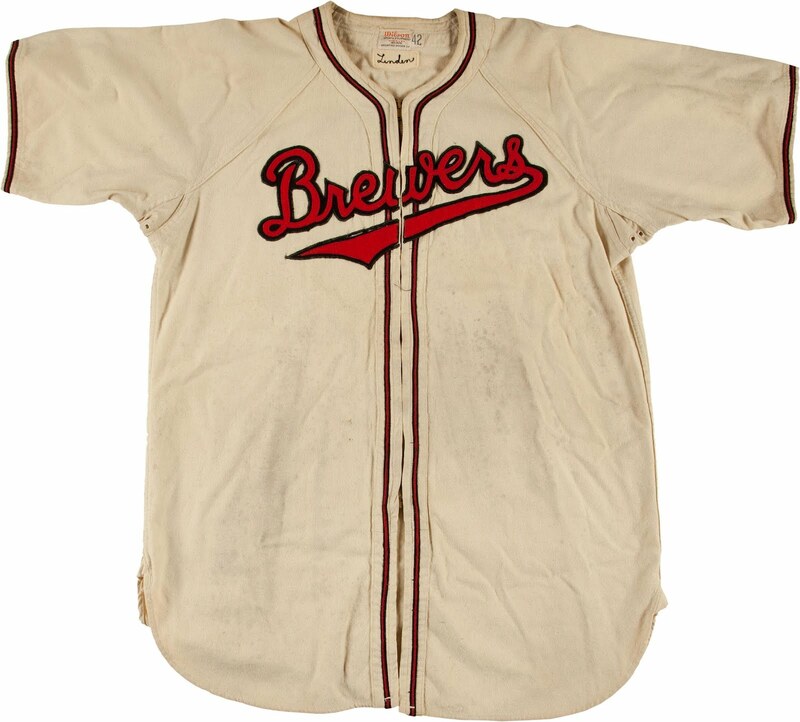 The 1946 Brewers finished the year 70-78. A rough season, especially on the heels of three straight pennants. The 1996 Brewers similarly struggled on the day they paid tribute to the '46 club, falling to the Mariners 9-3.